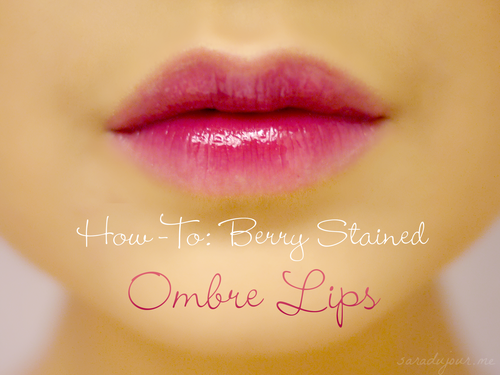 If you’ve ever longed for natural-looking flushed lips that look like you just devoured a bushel of blackberries, then this tutorial is for you. Mind you, because this uses a dark lip color only in the center of your lips, it will make your lips look a bit smaller. So if you have thin lips, you might want to skip this one. 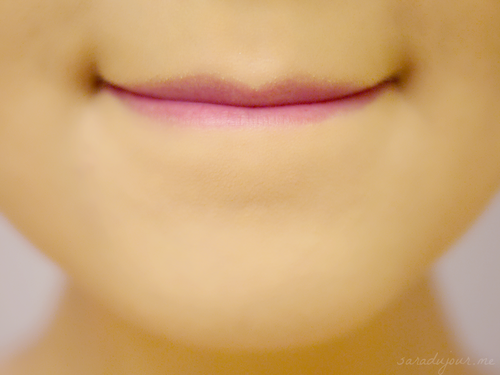 But if you have fuller lips, or don’t mind them looking slightly smaller, then here we go! This tutorial is super simple, and only requires two things: a berry-colored lipstick (I’m using MAC’s Rebel), and any clear lip gloss. 1. Start with clean lips. If you have foundation or lip balm on them, wipe that off with a cotton swab or tissue. 2. Apply the lipstick to the center of your bottom lip. This doesn’t have to be very precise – just get it on there. 3. Smear your lips together to transfer some lipstick to your upper lip, and to create a stain by pressing the pigment into your lips. 4. Using your fingertip, dab the lipstick outwards, blending the edges and creating a more gradual gradient effect. 7. 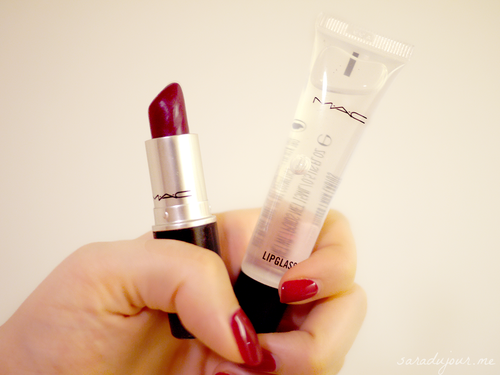 Add some more lipstick to the very middle of your lips. 8. Blend blend blend again! 9. Clean up the edges with a cotton swab. You want the edges of your lips to be totally lipstick-free. 10. Apply clear gloss and dab it onto your lips with a fingertip.